Biocare Medical has achieved ISO 13485:2016 Certification as of February 20, 2019. Design, manufacture and distribution of in vitro diagnostic (IVD), immunohistochemistry reagents/kits, and design, manufacture, distribution, installation and service of general purposes laboratory equipment medical devices. Download our ISO 13485:2016 Certificate of Registration Here. Biocare Medical’s Surveillance 1 (Upgrade to ISO 13485:2016) audit was performed by Intertek on November 14 – November 16, 2018, and our certificate is pending. Several publications have compared Biocare’s PD-L1 (CAL10) antibody for immunohistochemistry to FDA approved PD-L1 clones SP263 and 28-8 in both rare and prevalent cancer types. Positive and significant correlation of expression, intensity and concordance resulted in both studies. Below is a recent abstract published in the Journal of Clinical Oncology using these different PD-L1 clones in malignant Thymoma and Thymic Carcinoma. Also included is a link to a study published in Human Pathology using the different PD-L1 clones in Breast Cancer. Background: Recent development of anti-PD-1/L1 antibodies has demonstrated activity in various neoplasms. Thymic malignancies (TMS) are rare and treatment in advanced disease is limited. To evaluate the potential impact of anti-PD-1/L1 therapy in TMS, we examined the expression of PD-L1 in previously resected thymoma (TM) and thymic carcinoma (TC). Methods: We examined resected specimens from patients at Hartford Hospital with TM and TC between 2000 and 2014. Expression of PD-L1 was evaluated on formalin-fixed paraffin-embedded tissue. Immunohistochemical testing was done using four different clones of PD-L1 antibodies on the Leica Bond Max automated platform. The four clones include: E1L3N (Cell Signaling Technology), 28-8 (Epitomics) and SP142 (Spring Bioscience), and CAL10 (BioCare). PD-L1 expression was evaluated based on the percentage of tumor cells positive and their intensity graded as negative, weak (1+), moderate (2+), and strong (+3). The scoring was performed by three pathologists and was blinded for clinicopathologic data and antibody clones. Results: We evaluated a total of 29 patients, including 26 patients with TM and 3 with TC. Among the 29 available specimens, 12 had completed PD-L1 expression assessment at the time of submission. PD-L1 expression is present in 75-100% of the evaluated patients. All had positive PD-L1 staining by SP142 and CAL10. Three patients showed strong intensity by CAL10, and one by SP142. E1L3N and 28-8 had positive PD-L1 expression in 9 and 8 patients respectively with weak/moderate intensity. SP142 and CAL10 demonstrated the strongest concordance (R2 = 0.91) but there was significant variation between antibodies (R2 = 0.31-0.91). No correlation was detected between tumor grade and PD-L1 expression. There were focal areas that lacked expression in all of the evaluated specimens. Conclusions: There is increased expression of PD-L1 in TMS. The level of PD-L1 expression varies between the four PD-L1 antibodies. Increased PD-L1 expression provides evidence for the use of PD-L1 inhibitors in TMS. The variable staining highlights the heterogeneity of TMS and challenges in developing predictive biomarker in this cancer. 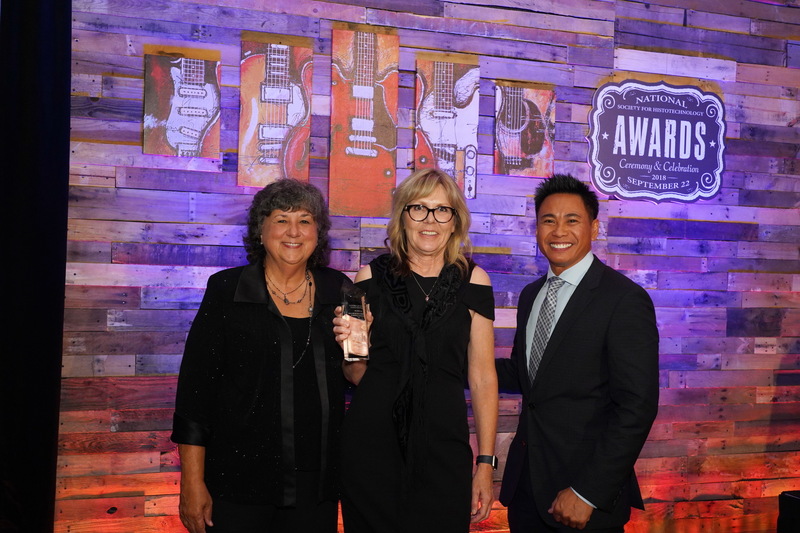 Excellere Partners has made an investment in Pacheco, California-based Biocare Medical, a provider of immunohistochemistry instrumentation, as well as a full range of reagents for IHC and molecular testing. No financial terms were disclosed. Denver, CO, August 25, 2017 – Excellere Partners, a Denver-based private equity firm focused on partnering with entrepreneurs and management teams, announced today that it has made a strategic investment in Biocare Medical (“Biocare”), a leading provider of immunohistochemistry (IHC) instrumentation, as well as a full range of reagents for IHC and molecular testing. The Biocare partnership represents the first platform investment in Excellere Capital Fund III, L.P.
“We have an outstanding opportunity to partner with Excellere, which has a proven track record of supporting founder-led businesses in achieving transformative growth. Over the last 20 years we have not only built a strong and growing company, but more importantly, have developed innovative products that enhance the disease diagnosis and monitoring process andultimately save lives. While we had many options, we chose Excellere as our partner based on their track record and passion for supporting emerging growth companies. We believe that our product suite and service model uniquely position Biocare to meet the evolving demands of clinicians and researchers across the globe,” said Roy Paxton Yih, Biocare co-founder and Chief Executive Officer. Biocare is a market leader in IHC and molecular diagnostic reagents, including simultaneous Multiplex IHC tests that provide increased confidence at critical diagnostic decision points, positively influencing patient therapy while accelerating turnaround time. 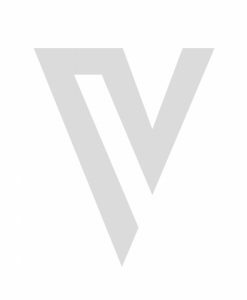 The company’s customers include clinical and hospital laboratories, pharmaceutical companies, and biotechnology companies as well as academic, government, military, and other nonprofit laboratories. Biocare offers an expanding portfolio of integrated products to address the rapidly growing cancer and infectious disease diagnostic and research markets with novel tissue immunohistochemistry and in situ hybridization methods. The company is headquartered in Pacheco, CA, and has a global distribution network. Visit www.biocare.net to learn more. Concord, CA, August 27, 2015 – Biocare Medical is proud to announce the availability of CK HMW + p63 + AMACR (RM) as an IVD double-stain for Multiplex IHC™. This patented antibody cocktail may be useful in the evaluation of normal prostate glands, prostatic intraepithelial neoplasia (PIN) and prostatic adenocarcinoma (1,2). Previously, this product was available as an RUO with CK 5/14, p63 and P504S. This updated version has replaced the P504S rabbit polyclonal antibody with AMACR, the equivalent rabbit monoclonal antibody, which will reduce lot-to-lot variability and non-specific background. 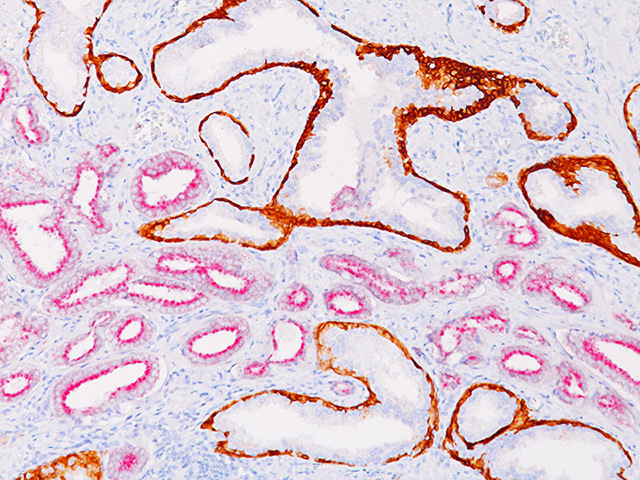 CK 5/14 has been replaced with high molecular weight cytokeratin clone 34βE12, which is directed to CK1, 5, 10, 14, and specifically stains basal cells in prostate specimens. This updated mixture of antibodies was selected to provide specific and sensitive staining of PIN, prostate adenocarcinoma and normal prostate glands. The introduction of this as an IVD (in vitro diagnostic) product will now allow clinical laboratories to utilize this double stain without the additional validation and disclaimer needed to previously run this double stain as a LDT (lab developed test). An IVD label also provides reasonable assurance of the product’s safety and effectiveness. Biocare Medical is an innovator in developing world-class IHC antibodies and reagents for clinical cancer diagnostics. With the patented IVD CK HMW + p63 + AMACR (RM) Multiplex IHC™ now available, Biocare has improved upon the original groundbreaking prostate double-stain, also a Biocare exclusive development. Studies have shown that combinations of CK HMW [34βE12], p63, and/or AMACR may be useful in the evaluation of normal prostate glands, prostatic intraepithelial neoplasia (PIN) and prostatic adenocarcinoma (3). In prostate, CK HMW [34βE12] has been shown to be a useful marker of basal cells of normal glands and PIN, a precursor lesion to prostatic adenocarcinoma; whereas invasive prostatic adenocarcinoma typically lacks a basal cell layer (3-5). p63, a homolog of the tumor suppressor p53, has been detected in nuclei of the basal epithelium in normal prostate glands; however, it was not expressed in malignant tumors of the prostate (6). α-Methylacyl coenzyme A racemase (AMACR), also known as P504S, has been shown to be a specific marker of prostatic adenocarcinoma (7-10). Additionally, prostate glands involved in PIN have been found to express AMACR, whereas AMACR was nearly undetectable in benign glands (10-11). Biocare Medical, LLC is an innovator in developing and supplying world class automated immunohistochemistry (IHC) instrumentation and the full range of reagents for IHC and ISH lab testing. Biocare Medical is the market leader in simultaneous Multiplex IHC detection and antibody development, which aids in the assessment of clinical cases and accelerates turnaround time. The company’s customers include clinical histology laboratories, pharmaceutical companies, CROs, and biotechnology companies as well as academic, government, military, and other non-profit laboratories. Biocare Medical offers an expanding portfolio of integrated products to address the rapidly growing cancer and infectious disease diagnostic and research markets using tissue immunostaining and in situ hybridization methods. Biocare Medical is headquartered and has manufacturing facilities in Concord, California, and has a global distribution network. For more information, please visit www.biocare.net. Biocare Medical, LLC has been awarded United States Patent No. US 8,852,592 for the anti-PAX8 mouse monoclonal antibody, clone [BC12]. 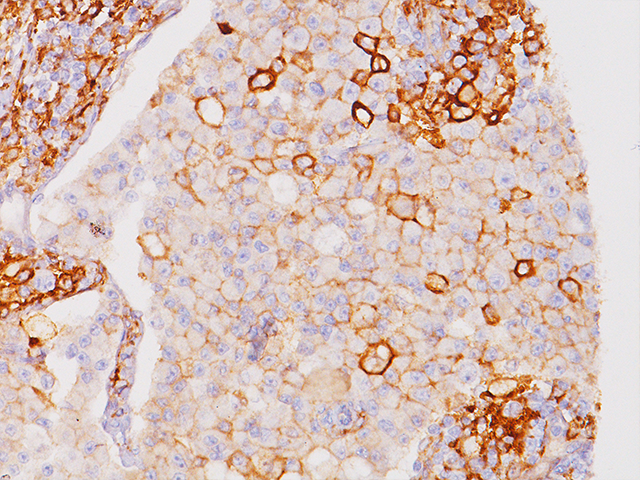 This mouse monoclonal PAX8 antibody [BC12] has been designed to target a restricted epitope and exhibits higher specificity and provides sharper staining than the PAX8 rabbit polyclonal antibody. This clone was developed in-house and is exclusive to Biocare Medical. PAX8 is expressed in a high percentage of renal cell carcinomas and ovarian cancers. Unlike the polyclonal PAX8, this mouse monoclonal antibody does not stain B-cells, and does not recognize epitopes of pancreatic origin and neuroendocrine cells in stomach and colon; thus providing superior specificity. The expression of the mouse monoclonal PAX8 target antigens was found in normal kidney, thyroid and cervix, but was not identified in normal ovary. By Western blot, [BC12] has been shown to recognize PAX8 and not PAX2, PAX5 or PAX6 proteins. PAX8 stains nuclei exclusively and performs well in formalin-fixed paraffin-embedded tissues. Further details are described in the following paper: Tacha D, et al. Appl Immunohistochem Mol Morphol 2013 Jan; 21(1):59-63.